Keith Jack’s Tree of Life Collection is stunning. 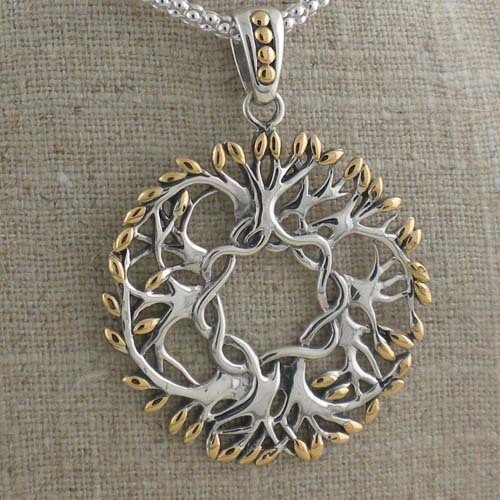 The Tree of Life Collection includes several pendants, earrings, bangles and beautiful rings some in all sterling silver and others in sterling silver with gold accents. Keith’s trees have delicate twisted intertwined trunks and full beautiful leaves of gold. All pendants come with 18” sturdy chains length can switched to 16” or 20” by request. Earrings have fish hook backs and come in two sizes. Bangle Bracelets are available in three perfect sizes and are enchanting. We do carry all of Keith’s items even if they are not pictured on our website. Please visit Keith’s digital catalog to see the entire Tree of Life Collection. The Tree of Life is found in many cultures. It represents the natural law of the life and the interconnection of all living things. 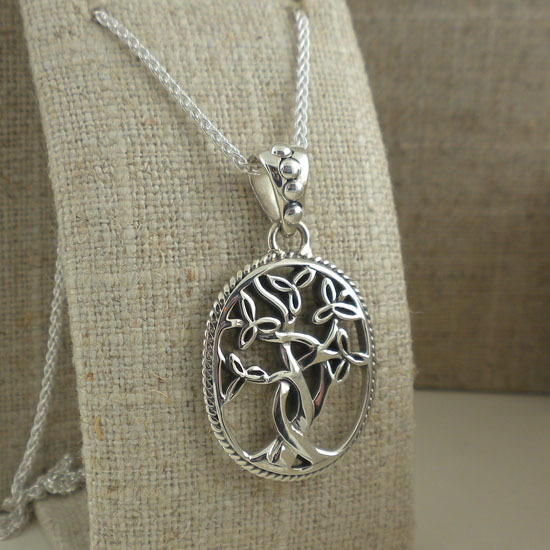 The tree is a powerful and ancient symbol with branches weaving through time and mythology. Grow with the strength and wisdom of the ages and enjoy fulfillment in a fruitful life.